Book your free first session now! 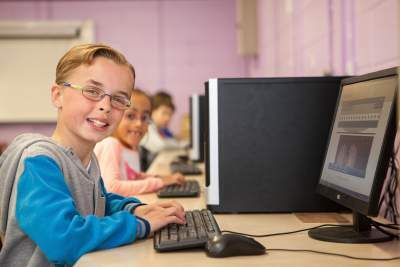 Searsol provides after school typing courses throughout Ireland. We provide after school touch typing courses to children from the age of eight up to school leaving age. The course is open to all children that want to learn how to type, including those with learning differences such as Dyslexia and Dyspraxia. Our courses in a positive learning environment by professional tutors. 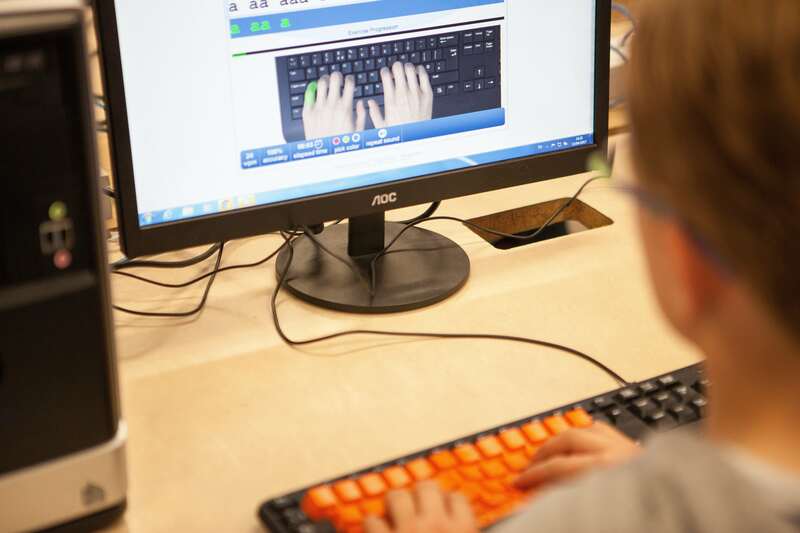 More information available on our after school typing course page. If you want to book your child in for a no obligation free trial click on the button below. Computer room: 2 - Enter through main entrance, two sets of double doors (brown), take a first right and room 2 is the first door on the right hand side. Computer room: 9 - From the main reception go through four sets of double doors, take a left at the of the end of the corridor and computer room 9 is the last door (purple) on the left hand side. Wednesday from 4:00 – 5:00 pm and 5:00 – 6:00 pm Saturday at 10.30 – 11.30 and 11.30 - 12.30pm. The course runs every Saturday and follows the school term: Saturday 10 - 11 a.m & 11 a.m. - 12 noon. Computer room: 19 - Entrance to computer room is the students entrance and not the main reception. Go through two sets of double doors and take right, go through double door and computer room 19 is the first door on the left hand side, beside staff room opposite Principal office.